Moving Guru » Moving Guide » What Are Moving Out Cleaning Services? What Are Moving Out Cleaning Services? Is your apartment a mess? Cause you’re going to need to clean it before you move out. Otherwise, your landlord will do it for you, then there goes your rental deposit… most of it, at least. What Do Moving Out Cleaning Services Do? 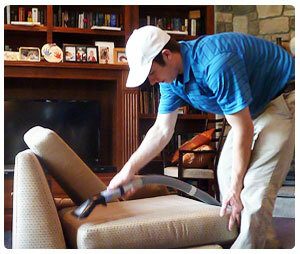 Moving out cleaning services are like any cleaning service. They come to your place and scrub it till it’s shiny and smells faintly of fruit. However, they have a special focus on restoring your place to its initial grandeur — before you moved in. They’re used to the heavy cleaning that comes with cleaning a place that hasn’t been cleaned in months, and they specialize in deep cleans. Basic cleaning – Sweep, mop, dust, scrub, trash. Degreasing – Such as your crusted stovetop and oven interior. Polishing & waxing – Some wood work or metals might need some extra work to restore their sheen. Some goes for tiling and other flooring. Wash furniture – They’ll do their best to get the stains out of your rental’s couch. Paint – That’s for painters. Mend walls – That’s for carpenters. Fix fixtures – That’s also for carpenters, or relevant specialists. Plumbing – That’s for plumbers. Electrical issues – That’s for electricians. If it sounds like you can use a moving out cleaning service, then it’s time to start looking at how much cleaning services cost to determine whether they’re worth it.